Globe Opens GCASH Channels For Typhoon Labuyo Victims - All Chucked Up! “We hope that through our GCASH facility, it would be easier and more convenient for our subscribers to help alleviate the condition of our fellow citizens who are currently suffering from lack of food, water, clothing, and shelter. We are also enjoining everyone to spread the word to their families and friends so that more aid could be provided to Labuyo victims. 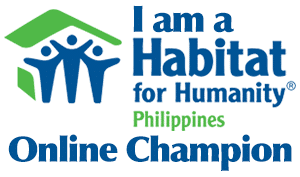 Even small amounts could go a long way,” said Fernando Esguerra, OIC of Globe Corporate Social Responsibility. DSWD is currently spearheading the government’s efforts to provide basic necessities for the victims while PNRC, being the premier humanitarian organization in the country, provides life-saving services during such vulnerable situations. SLB, through its E-Ugnay program online map application powered by Globe, provides realtime information and needed relief support in calamity-hit areas which allows for the quick purchase, repacking and distribution of goods.